Being an experienced penny auction player, I can tell you about the biggest scam out there and it is NOT DealDash!. I won 2 big gift cards on another site.I even received the congrats email. One was for a $200.00 Walmart and the other was a $100.00 Target. Both times, after not receiving the cards, I called. Both times, I was told that there was a technical error and they cancelled the auction. How can you cancel something already won?? Let me assure you, this would never happen on DealDash. Good business practice would mean that you send the gift card regardless. Deal Dash is honest and the customer service only wants to make their customers happy. After reporting this other incident to the Attorney General in North Carolina, I am sticking with DealDash – the best in the business of penny auctions. This entry was posted in Home on November 28, 2013 by . This year has been a good one again at DearDash! I find there are new people having problems as I read reviews and want to encourage them to try a few things for better success. First, take some time to read some of the blogs about DealDash and some of the suggestions that are there. When starting out I recommend to choose a small item at first, watch the bidding and see who is bidding A LOT. In time, you will learn who the bidders are and how they tend to bid. Don’t try to outbid anyone by immediately bidding over the other person – some bidders play this ” immediate outbid game” and neither one will end up winning in the end most times. Best beat is to find another item to bid on instead. The same item or gift card will be coming up soon again any way so wait and bid on that one. It takes time to learn, but with a bit of patience and watching many auctions, you will start to develop your own strategies on how to play. Another thing that will save you bids when others are bidding over and over not waiting for the 10 seconds on the clock to count down is to use the BidBuddy option. The BidBuddy will place your bids during the last few seconds of the auction and help conserve your bids while others are placing theirs back to back to back. This entry was posted in Bidding Tips, Home on November 27, 2013 by . DealDash is Fair and Balanced! Deal Dash is a fair auction site, even forgiving – as you can buy the item if you don’t win the auction and get back all the bids you have placed. Veteran bidders will often call this “BIN” for Buy It Now. New Bidders should do some “homework” before jumping into the auctions, or they can lose a lot of money not knowing what they are doing. 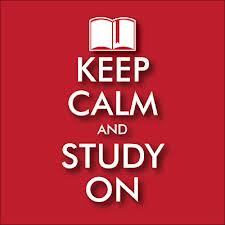 It may be a good place to save money for those of lower economic means, if they are smart and careful. It’s a new world for them to click on the title of each auction, which is a blue link. 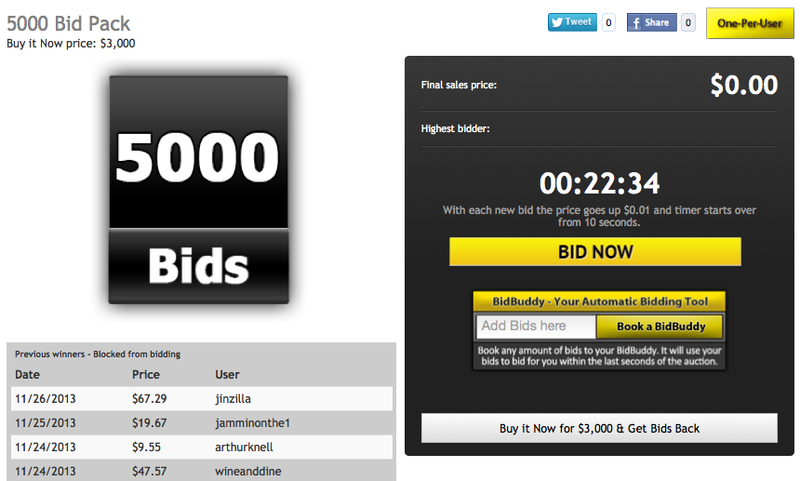 Open the auction and place the number of bids you want to put in and Bid Buddy works for you. There are some great help tips on the website and on this blog. 1. Bid on any auction before it opens. Scroll to the bottom of the page and go to page 2 or 3, find out where the auctions say “Stating Soon”, open the auction, and place at least 1 bid into the Bid Buddy. When the auction goes live, you will be assured the right to bid in that auction. Place more bids if you think the item will go quickly or if you are heading out to work or off to bed and not able to monitor the auction. 2. Try to only get into serious bidding with no more than 2 other bidders. You may have to “babysit” your favorite auctions until they drop down to 3 or less bidders, and jump in when you see only 2 left. 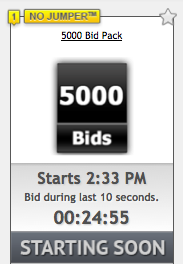 It’s best to already have at least 1 bid in the auction before the $5.00 limit. 3. You can go in and out of an auction as often as you like, if the population goes above three bidders, drop out until it comes back down. This will save your bids for when they matter most. Then you will have an idea of how many bids you might need to win the item, etc. This entry was posted in Bidding Tips, Home on November 26, 2013 by . What Should I Buy for Christmas? Hello DealDashers! This week I am going to talk about Christmas bidding and answer your question, What Should I Buy for Christmas? With a shorter than normal holiday season and less Christmas shopping days available to you we see many people already buying gifts for Christmas well ahead of Black Friday. Also, by using DealDash to purchase many of the gifts you need, you save yourself time, trouble fighting the crowds at the store and save on all the gas you would use driving from store to store. By shopping on DealDash you avoid all these problems and headaches as you shop in the comfort of your own home. Remember when shopping on DealDash that shipping is always free. So there is no extra cost to you simply because you wanted to avoid the crowds at the Malls and retail stores in your area. Much of the items you purchase on DealDash come from reputable stores such as Sears. DealDash also has a host of various gift cards to pick from. Stores such as Wal-Mart, Amazon, Chili’s, Subway and many others when shopping for those picky or hard to buy for family members. I have personally purchased two gift cards on DealDash and never had any issues in using them. And don’t forget the batteries this year mom and dad. Don’t you hate when your children open up a toy from Santa and there are no batteries. Your children are crying and you are out running around all over town on Christmas morning trying to find that one store in town that is open so you can get batteries for your child’s new toy? Disaster! But DealDash has many batteries to select from. So don’t forget to put those on your Christmas list of things to buy on DealDash. Perhaps you wish to purchase larger items for a family gift. Something like a new TV or Computer. DealDash has you covered with a wide selection of those big ticket items. Another thing that is good about shopping on DealDash for Christmas is the Buy It Now option. Okay, so you did not win the item you were bidding on or the auction continued past your price point. Just use the Buy It Now option and make the purchase on that item. You will get all your bids back as well and you get the item you want to purchase. It is shipped to your door free and still avoid all the crowds at the retail stores. You then have all your bids back so now you can continue shopping for those other family members and friends on your shopping list. So sit down and plan your Christmas shopping list and get on DealDash and get your Christmas shopping started today. Avoid those crowds at the Mall and make your purchases right in the comfort of your own home with a nice cup of hot chocolate while others are out freezing in the cold weather and fighting the crowds that you just avoided by smartly using DealDash! This entry was posted in Bidding Tips, FAQ, Home on November 25, 2013 by . Have you seen DealDashTips.com? This is a new blog website dedicated to providing penny auction bidders with strategies and tips specifically for DealDash.com. The site is just getting started and there have not been many posts just yet, however the quality of the content posted has been in depth and useful. For instance the first post DealDash Demystified aka “to make DealDash less mysterious” is a great introduction post which breaks down what DealDash is, what a penny auction is and what it means to be a pay-per bid. There are several great screen shots to display how the site functions to help paint the picture where different features on DealDash can be found. 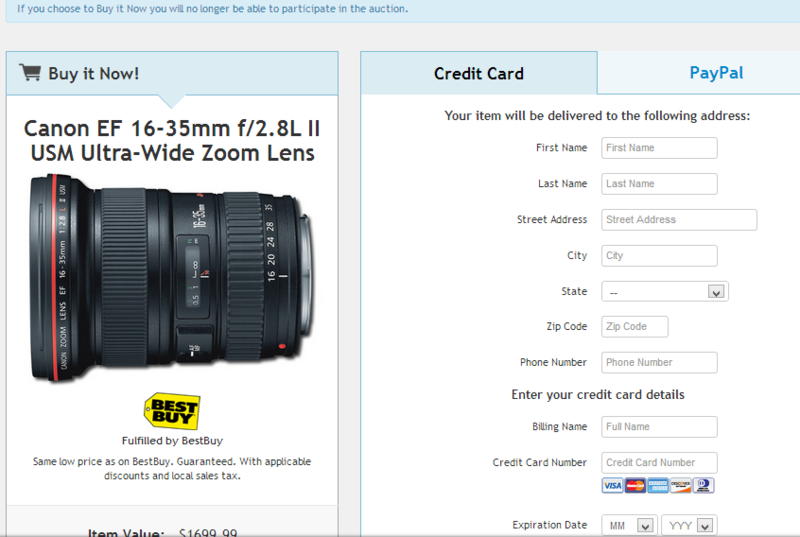 For example the Buy it Now option and what the screen looks like during checkout. DealDashTips.com also breaks down a three part series focused on the Powerbidder’s Strategy to Winning DealDash Auctions. A common tip DealDash bidders continue to be outspoken about is to study, read and learn how the site works before jumping in with both feet. There’s several good guides and tips to getting started found here in DealDashreviewed.com like What are the best times to bid on DealDash? This entry was posted in Bidding Tips, Home on November 22, 2013 by .